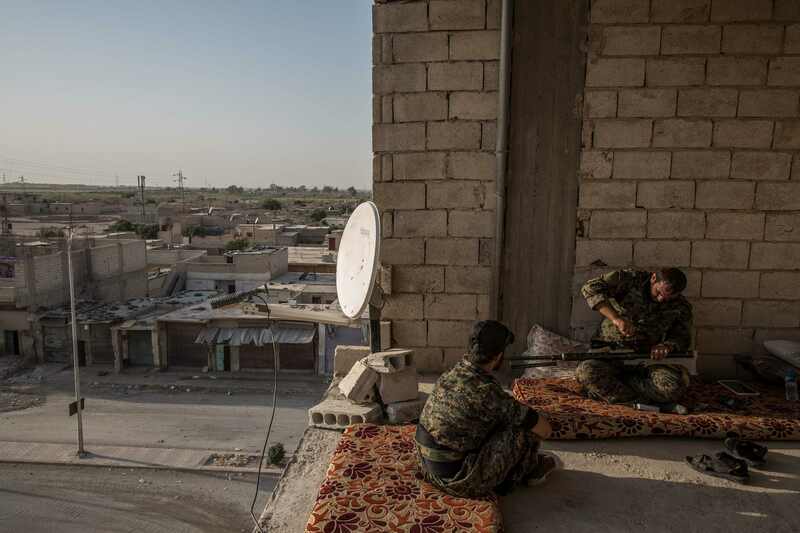 Last summer John Beck photographed the SDF in Raqqa, Syria. Below we see some of his experience, as he saw it through the lens. Above, Khalil, a teenage fighter with the Syrian Democratic Forces (SDF) sits for a portrait in western Raqqa close to a frontline where he and his comrades are battling ISIS. The group were all from the city and said they fought for revenge. They all claimed to be 18 but looked younger. Raqqa, Syria, 28/07/17. 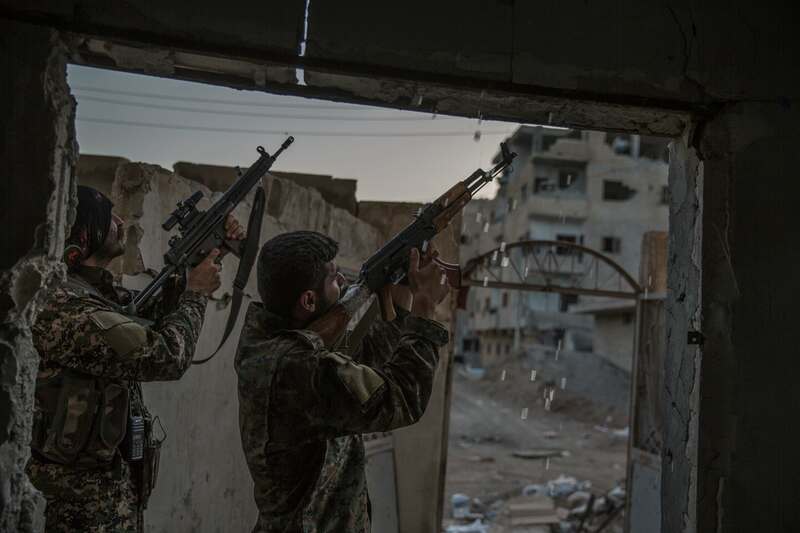 Syrian Democratic Forces (SDF) fighters maintain their weapons at a base in western Raqqa. 28/07/17. Syrian Democratic Forces (SDF) fighters fire at an ISIS drone near a frontline in western Raqqa. Raqqa, Syria,28/07/17. 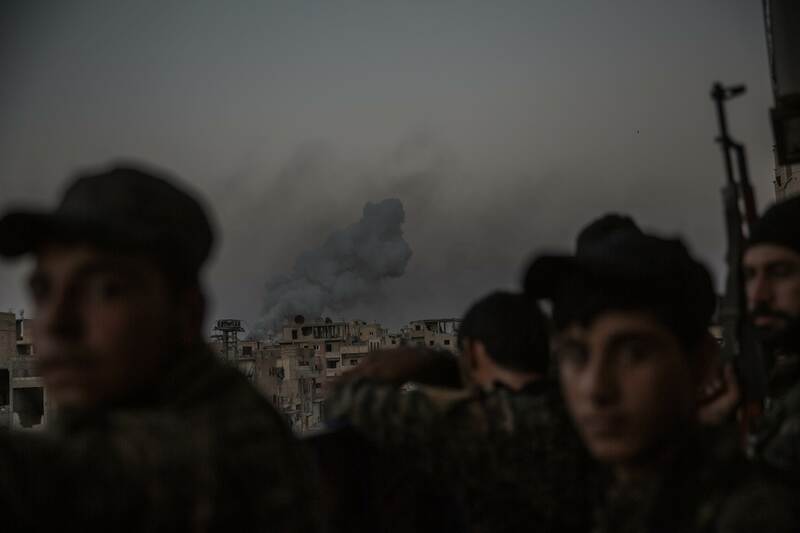 Syrian Democratic Forces (SDF) fighters stand in front of smoke rising from a coalition airstrike on suspected ISIS positions in western Raqqa. Airstrikes such as this left the city in ruins and killed hundreds of civilians. Raqqa, Syria, 28/07/17. 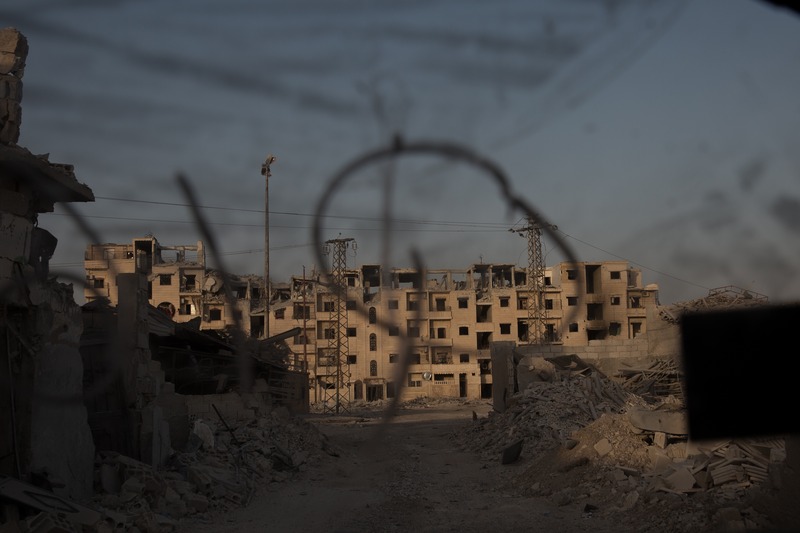 A section of western Raqqa, the onetime capital of ISIS's self-declared caliphate seen through the windscreen of a Syrian Democratic Forces (SDF) Humvee. Raqqa, Syria, 28/07/17.